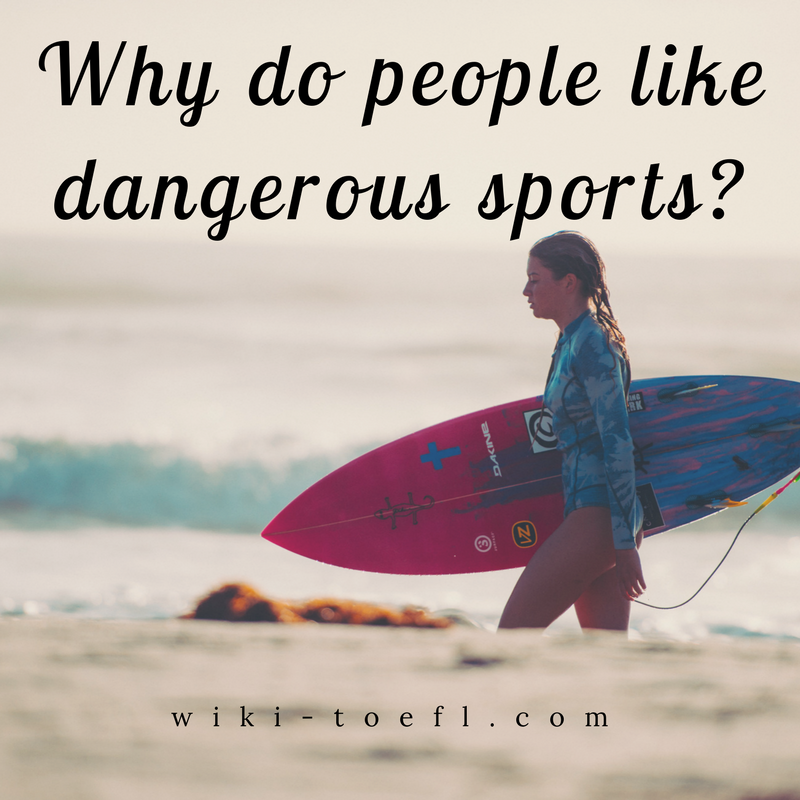 Home Writing	Toefl writing: Why do you think some people are attracted to dangerous sports? Dangerous sports or activities attract a certain type of person. This person is often a risk taker, an optimist, and a fatalist. People who take risks are found both in dangerous sports and business. But it is a special person who takes a risk with his own life as opposed to his money. My father was a risk taker. He put everything be owned into his business, but he stopped playing risky sports like horseback riding and skiing. Once his business was a success and he no longer bad to worry about providing for us, he returned on the age of 60, to the risky sports that he did as a youth. Someone who plays a dangerous sport must be an optimist. They cannot imagine that anything will happen to them. They never think about breaking their leg while skiing, falling off a cliff while rock climbing, falling on their head while sky diving. They live for the thrill of the moment without a thought to the many things that could go wrong. Rock climbers and sports car drivers must be fatalist. They might plan for potential problems, but once they have done everything they can do, the outcome is out of their bands. A motorcyclist when jumps across a narrow canyon will get the fastest, strongest bike available that will carry him or her across the canyon, however, wind conditions or other problems might interfere and the cyclist my fall short of his goal. Many people have the same traits of course. Many of us are risk takers, optimists and fatalists. But I think people who play dangerous sports must have these characteristics in abundance.